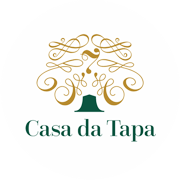 Casa da Tapa 7 is part of a historic Manor House located in the center of Vila Pouca de Aguiar, right at the heart of the North of Portugal. This large vacation house has 3 bedrooms, 2 spacious living rooms, large bathroom and kitchen, and comfortably sleeps 6 persons. The house has 210 square meters of indoor space and over 1000 square meters of surrounding garden and lawn. All this in absolute privacy. You will not have to share the house with other guests or hosts. Decorated with a cosy, rustic style, Casa da Tapa has three different sized rooms. Providing different ambiances, the manor house features two living rooms with fireplace. Perfect for family and group meals, this large dining room seats eight guests under a skylight. The large kitchen has everything you need to prepare your meals. Eat in or take it to the garden! A refurbished and spacious bathroom with walk-in shower and modern fixtures. Step outside and explore the green outdoors. Enjoy a meal outside overlooking the lawn and trees.